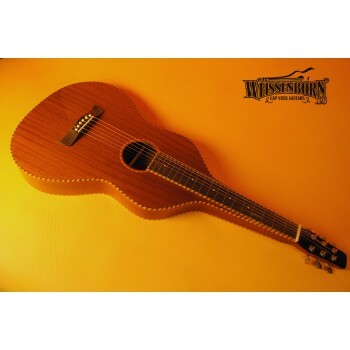 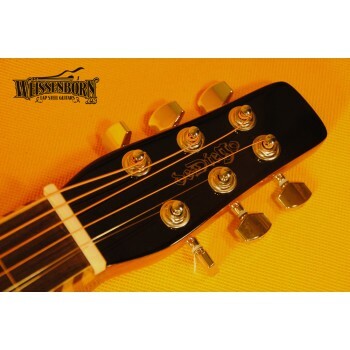 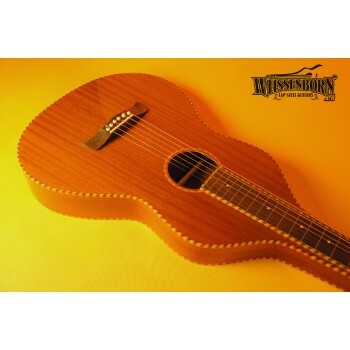 Our deDiego model 2 is designed after the original rope binding guitars that Hermann Weissenborn build (styles 3 and 4). 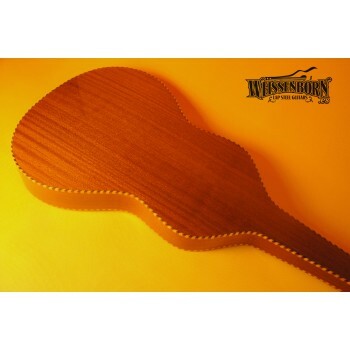 It is made of laminated mahogany wood but includes a superior finish and rope binding as cosmetical upgrades. 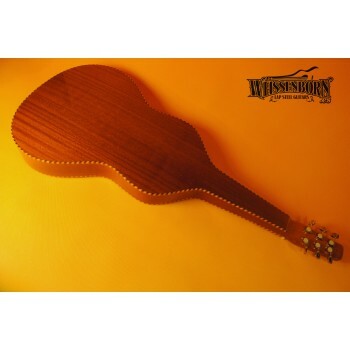 Improved cosmetics and elegant rope binding as top grade vintage Weissenborn used to have in the 1920´s.